Epic Orcon — because making a beer inspired by the internet just seemed choice. Head along to your local craft beer outlet. See those blokes standing there? 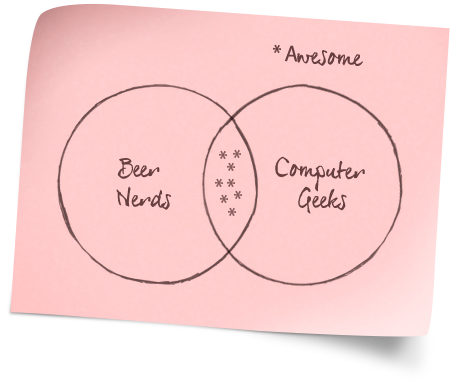 We bet they work in the IT sector (see Venn Diagram — computer types are also craft beer fanatics). It’s a fact that struck Epic Beer maestro Luke Nicholas. To help celebrate the crossover between beer nerd and computer geek, he devised a new pale ale. Luke enlisted the help of two Orcon engineers — Dan Capper, voice engineer and beer blogger, and Richard Patterson, network engineer and keen home brewer. Together the trio developed Orcon Pale Ale (as you can see in the video above, but we guess you probably watched that first and are only reading this now). 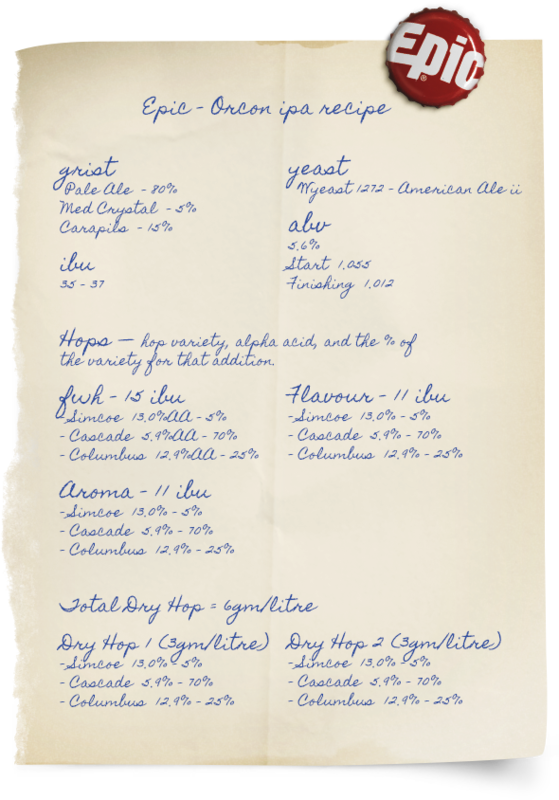 Orcon Pale Ale contains US-grown aroma hops which makes for a beer full of flavour and welcoming aromas. It is floral, fruity and with a hint of pine. We think they have done a great job. Dan’s happy. Richard’s happy. Luke’s happy. We trust you are happy too.